Hardly a cloud to be seen. 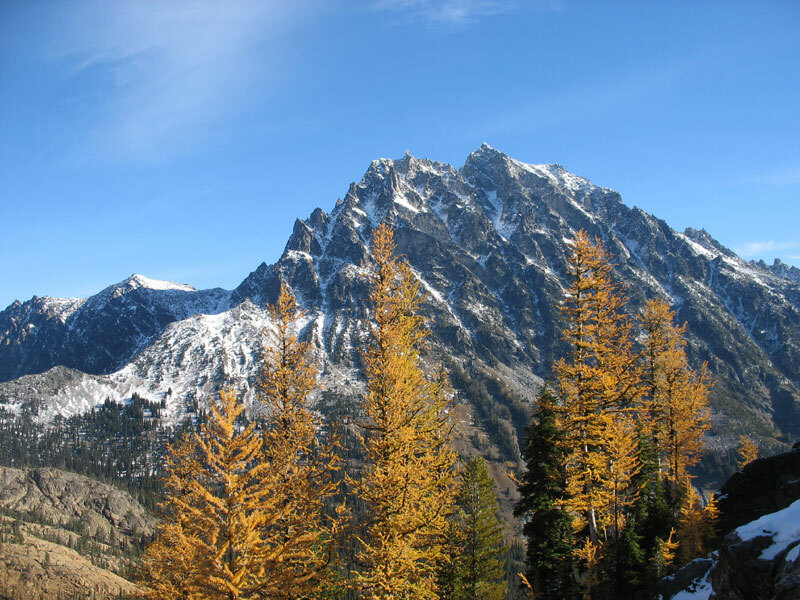 Golden larch in front of Mt. Stuart.